"I've Had My Chest X-Ray" button with red double-bar cross that was the emblem of the National Tuberculosis Association anti-TB crusade. People can be exposed to tuberculosis bacteria and become infected. Some who are infected go on to develop active TB disease; those who do not are said to have latent infection. Latent infection can be found through a skin test or a blood test; however, a chest x-ray and laboratory testing of a mucus sample are needed to determine if someone has active TB disease. In 1946, the Richmond Health Department worked with medical and civic organizations to launch the city’s first chest x-ray campaign. 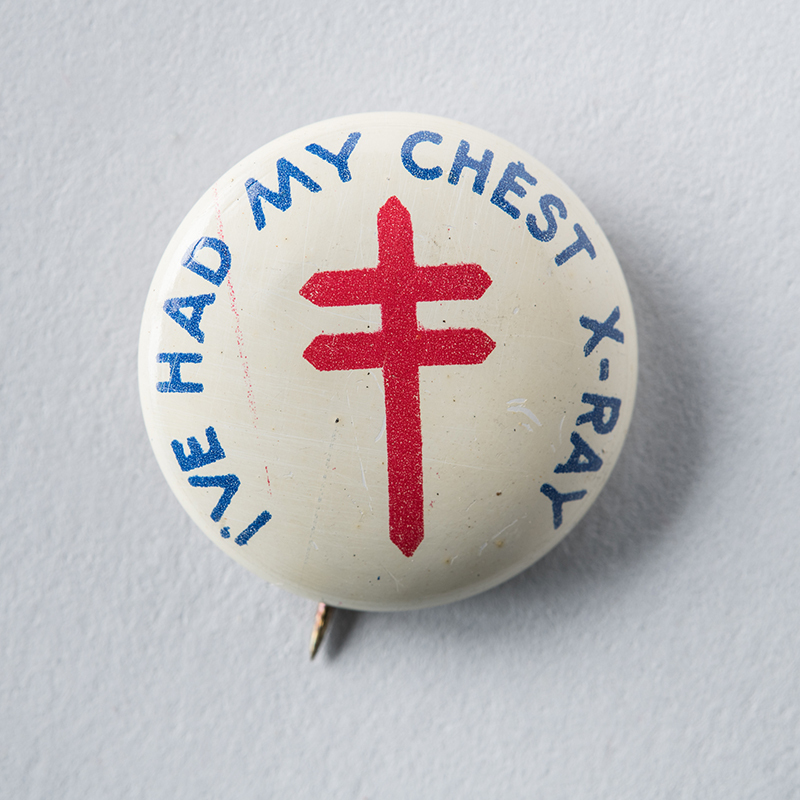 L. J. Imber Co., “I've had my chest x-ray [pinback button],” Social Welfare History Image Portal, accessed April 26, 2019, https://images.socialwelfare.library.vcu.edu/items/show/312.